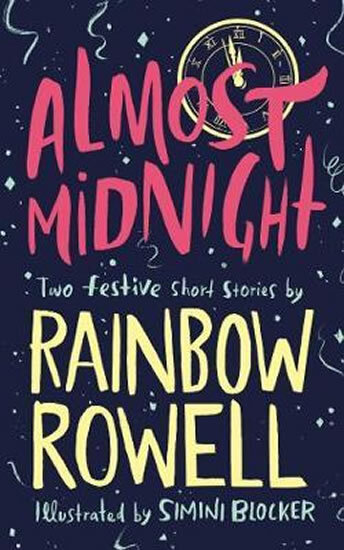 Almost Midnight: Two Festive Short Stories by Rainbow Rowell contains two wintery short stories, decorated throughout for the first time with gorgeous black and white illustrations by Simini Blocker. Midnights is the story of Noel and Mags, who meet at the same New Year's Eve party every year and fall a little more in love each time . . .Kindred Spirits is about Elena, who decides to queue to see the new Star Wars movie and meets Gabe, a fellow fan. Midnights was previously published as part of the My True Love Gave to Me anthology, edited by Stephanie Perkins and Kindred Spirits was previously published as a World Book Day title.